Damascus (Arabic: ? 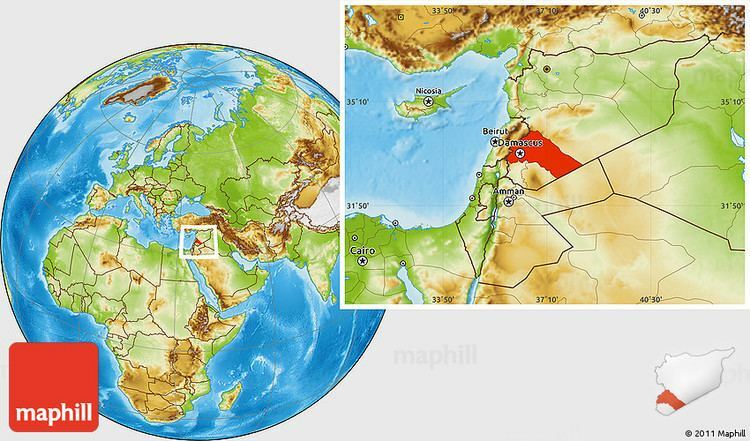 Dimashq, ) is the capital and the second largest city of Syria after Aleppo. It is commonly known in Syria as ash-Sham (Arabic: ? ash-Sh?m) and nicknamed as the City of Jasmine (Arabic: ? Mad?nat al-Y?sm?n). 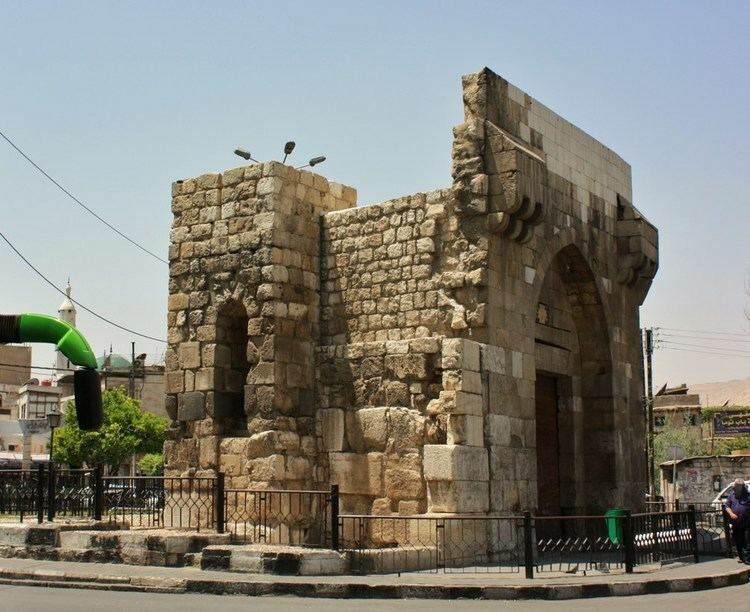 In addition to being one of the oldest continuously inhabited cities in the world, Damascus is a major cultural and religious center of the Levant. The city has an estimated population of 1,711,000 (2009 est.). The old city of Damascus, enclosed by the city walls, lies on the south bank of the river Barada which is almost dry (3 cm (1 in) left). 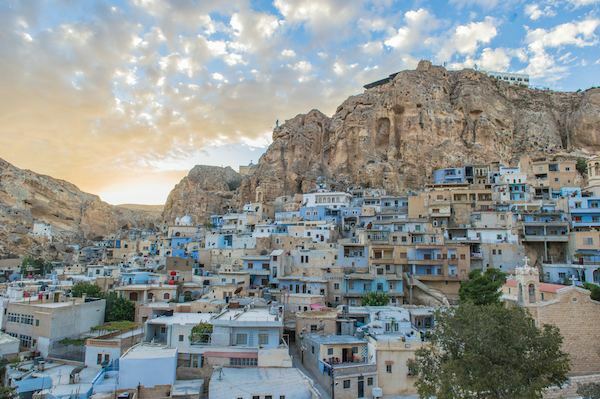 To the south-east, north and north-east it is surrounded by suburban areas whose history stretches back to the Middle Ages: Midan in the south-west, Sarouja and Imara in the north and north-west. These neighborhoods originally arose on roads leading out of the city, near the tombs of religious figures. In the 19th century outlying villages developed on the slopes of Jabal Qasioun, overlooking the city, already the site of the al-Salihiyah neighborhood centred on the important shrine of Sheikh Muhi al-Din ibn Arabi. These new neighborhoods were initially settled by Kurdish soldiery and Muslim refugees from the European regions of the Ottoman Empire which had fallen under Christian rule. Thus they were known as al-Akrad (the Kurds) and al-Muhajirin (the migrants). They lay two to three kilometres(1.2–1.9 miless) north of the old city. Damascus used to be surrounded by an oasis, the Ghouta region (?????? al-?? ?ä), watered by the Barada river. 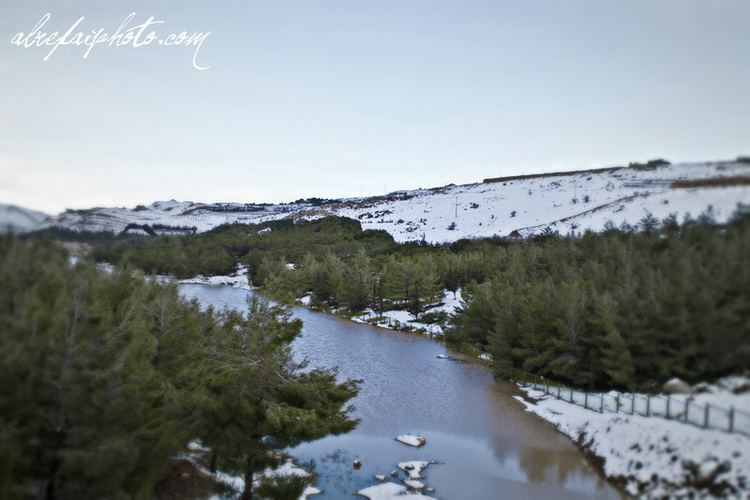 The Fijeh spring, west along the Barada valley, used to provide the city with drinking water. The Ghouta oasis has been decreasing in size with the rapid expansion of housing and industry in the city and it is almost dry. It has also become polluted due to the citys traffic, industry, and sewage.